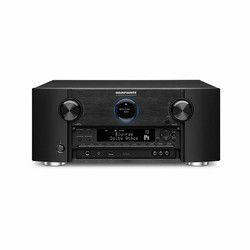 I had a chance to compare two receivers– Pioneer VSX-933 vs VSX-832, it will help people choose the model that meets their requirements. 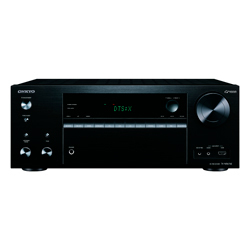 VSX-933 is a 7.2 channel receiver, while VSX-832 supports the 5.1 channel setup only. 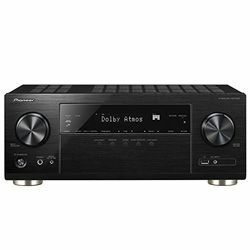 If we compare Pioneer VSX-832 vs VSX-933 in terms of the total output power, we see that VSX-933 outputs 560 W, while VSX-832 outputs 400 W. Both models support Dolby Atmos. VSX-933 works with Sonos and supports DTS:X and DTS Neural:X upmixing, while VSX-832 features the phase control technology to eliminate the phase lag and the reflex optimizer to improve the localization of the sound image. Both models support the modern 4K video standard. Both receivers have Wi-Fi modules, so you can access various online services or stream content from your devices. The Wi-Fi module is dual-band, so it assures a stable, high-speed connection. Both solutions have the built-in Chromecast technology, and VSX-933 works with the Google Assistant. 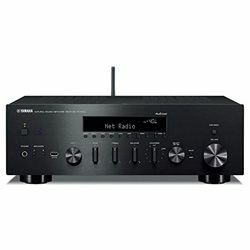 These receivers support the multi-room technology. Customers don’t experience any issues with ports. However, VSX-832 wins here with its 6 in and 1 out HDMI ports, while VSX-933 features 4 in and 1 out HDMI ports. Pioneer uses the MCACC technology to control the output audio. The auto-calibration feature is quite fast and precise, but you can always fine-tune the settings using a special menu (customers do not have any troubles with it). Pioneer provides you with the microphone required for this calibration. These two models look almost the same – they have a simple LCD display with some basic information, two large knobs, a row of narrow buttons right under the display and some small round-shaped buttons. The front panel also has some extra ports. Both models come with an ergonomic remote controller. The dimensions are 14.6x17.1x6.8 in for VSX-933 versus 12.6x17.1x6.8 in for VSX-832. The quality level of the output audio and video is stunning –you get not lags or noise. Easy to install and calibrate due to the audio calibration feature. Zone 2 works only with analog inputs. The issue with passing the UHD signal through the receiver from Nvidia Shield to an LG TV. The audio is crisp and clear. 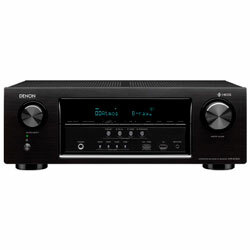 There are many sound modes and the receiver adjusts the mode instantly. The bass is rich and deep. Easy to update the software (it fixes errors and enhances the performance). 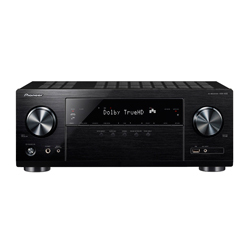 Many features to adjust – the receiver is flexible. Issues with ARC – the receiver stopped recognizing it.